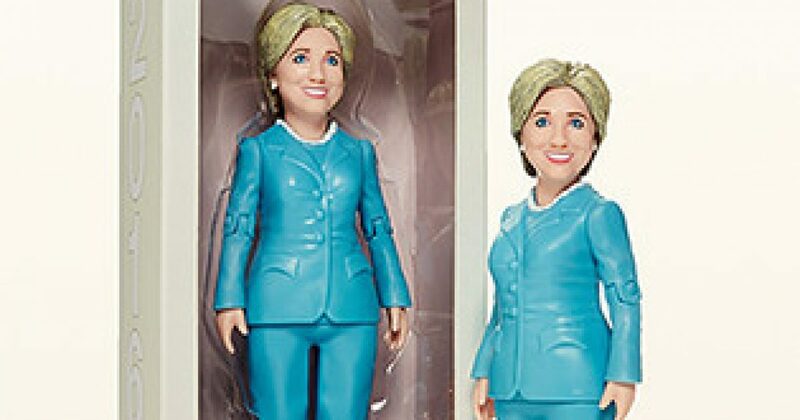 Seen the Hillary Rodham Clinton “action” figure. Is anybody enforcing truth in advertising, because this should be an “inaction” figure. What has Hillary Clinton accomplished, except being the wife of a scoundrel, and the underling to another scoundrel? Then again, Hillary did (1) Stand by her man (2) and she is good at cleaning…disk cleaning. Hillary did get shot at by enemy fire, and struggled for money. And though she didn’t have an EZ-Bake Oven, she did create that Russian “easy” button. The action figure was designed by a small studio called FCTRY, which also created an Obama action figure in 2008.